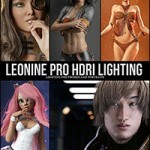 After the highly successful ‘Pro HDR Lighting System 1′ comes ‘Pro HDR Lighting System 3′. This set contains even better lights with many more options and 10 more light sets. Each lighting environment focuses on quality, originality and professionalism. 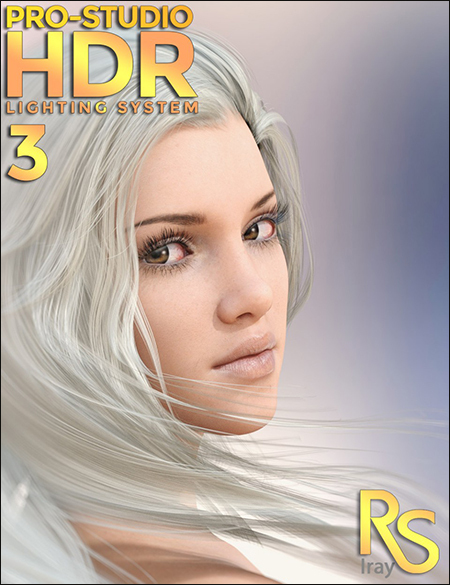 The ‘PRO-Studio HDR Lighting System 3′ is based on the industry standard for ‘High Dynamic Range’ simulation of real world photographic lighting. Get more creative and work faster with 50 easy to use pre-sets that will give your renders the ultimate in tonal range, natural color, specularity and shadows. All the lighting environments are made with real HDR photographic studio lights, captured in 32bit with finely tuned intensities, positioning and light temperatures. All HDR’s are set-up as Iray Render Settings so all you have to do is load the render setting file that you require and your scene is beautifully lit and ready to render. No ‘3D’ lights are required. All the HDR’s in this package will provide you with the best specularity and eye reflections that can be achieved in Daz Studio and will render incredibly fast with an Nvidia graphics card. The ‘PRO-Studio HDR Lighting System 3′ is a stand-alone product. This package includes 50 light sets. 25 from the left and 25 from the right. A detailed user guide is included via the Readme.